Next Meeting: September 26 at 6:30pm at MakerWorks. What to Bring: We're going to start some Round Robin Quilts. 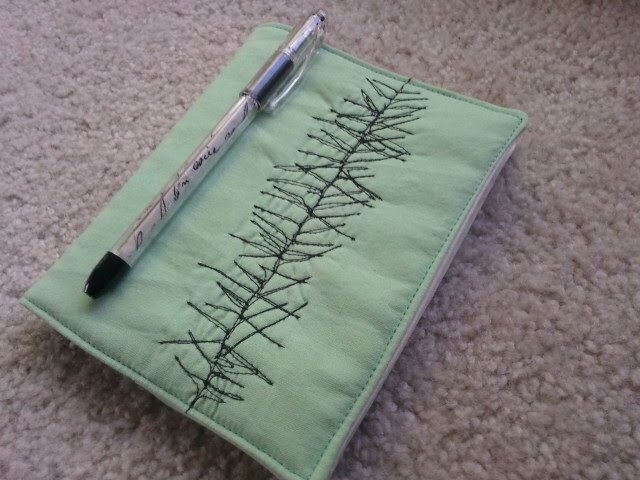 Bring a block that you have stuffed in your stash - or make a new one. If you'd like, you can include fabric to go with your block to be used in the quilt (perhaps you want the same neutral to be used throughout), and maybe you could include some general guidance of what you wish to see. 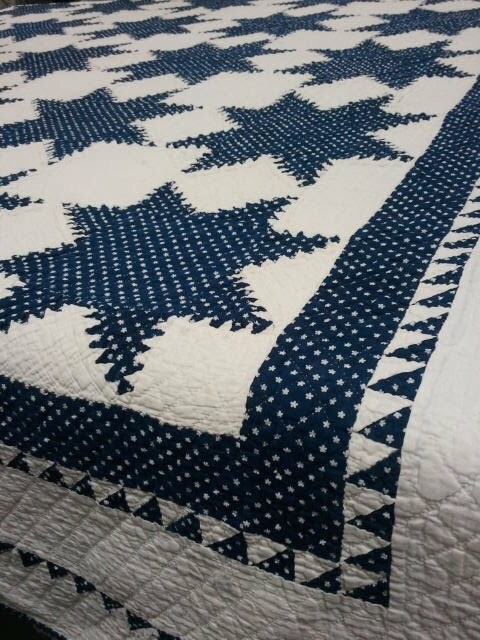 However, these quilts are going to be made in good faith - allowing great creative independence to those who add to the blocks. What I'm thinking is that I'll bring a bunch of manila envelopes - each block brought will go in an envelope along with any details or additional fabrics. The person who brought the block will have their name on the envelope, and we'll pass the envelopes around throughout those in the group who wish to participate. Each meeting we'll pass the blocks/envelopes around to someone new. Next Sew-In: Sunday, September 9th 12 - 4pm at MakerWorks. 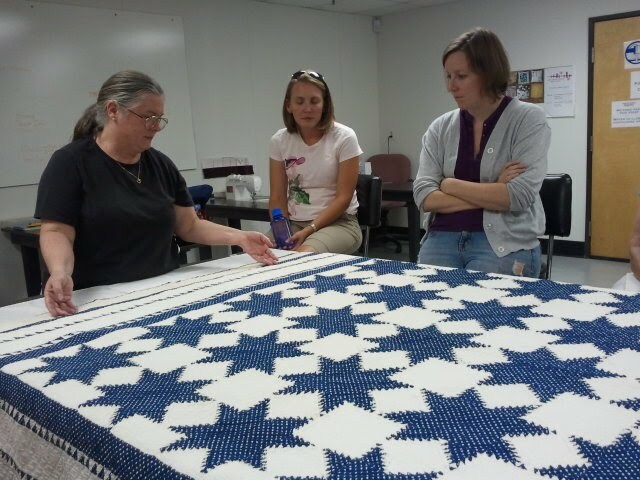 Antique Quilts Presentation by Ginia: Ginia shows us some wonderful antique quilts from the late 1800s. They were beautiful and we were all happy to hear Ginia's tips for storing our quilts and her encouragement to label all our creations with names and dates to add to their value. Thank you, Ginia, for a great presentation! Ginia blogged about these quilts here. 1/2" HSTs!!!! Totally bonkers and awesome. Sewing Retreat: We have a WONDERFUL time at the early August sewing retreat. So much so that we are planning another one for JANUARY! Brenda is contacting the Hankerd Inn for possible dates. Also, Brenda will be one of the hosts for QUILT CAMP in December. Those in attendance will test out the Hankerd Inn's new menu, so we can decide if we'd like to do another pot-luck for our A2MQG retreat, or if the new grub will meet our needs. Quilt Con: more information has been posted regarding this exciting event. If you would like to come, you can email Brenda or Debbie to see if they have space for you in the reserved hotel rooms. The MQG has put a call out for quilt submissions for QuiltCon. 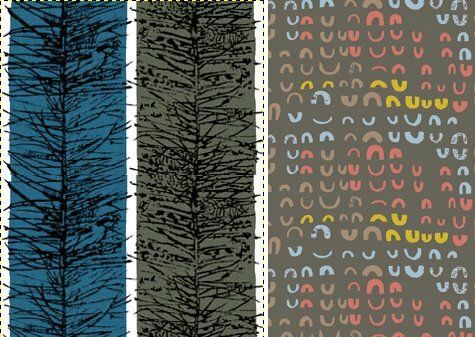 Enter your quilts! More details HERE. a2mqg Sale/Show: If you are interested in participating in the sale/show on November 15, look out for a forth-coming email where you will RSVP and be put on the list of interested sellers. Then we will schedule a meeting where we will tag our items and discuss setting prices. More information HERE. Discussed starting some Round Robins and came to the process described above. 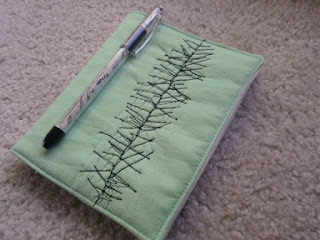 Swap: Four participants swapped sewn items inspired by Lucienne Day. 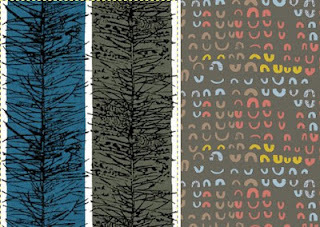 Work of Lucienne Day - Photo from HERE. Hello Guild Members and Friends! Quick heads up that there is a meeting THIS Wednesday at 6:30pm at MakerWorks. 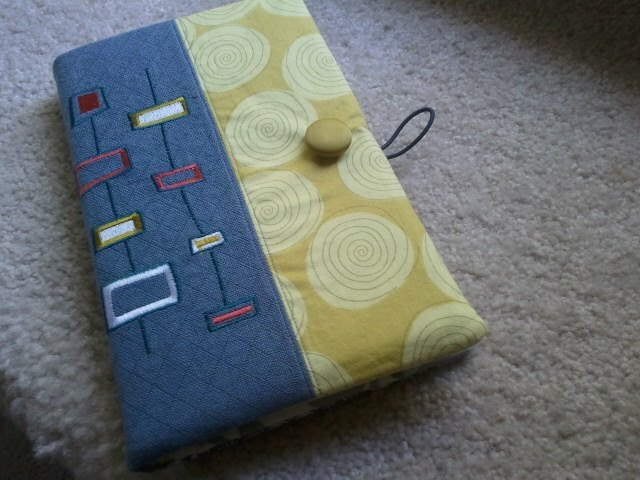 If you feel like participating in the swap - bring a handmade item inspired by Lucienne Day. More information HERE. Sorry for the silence here on the blog. Let me take a second to showcase some of our latest events. 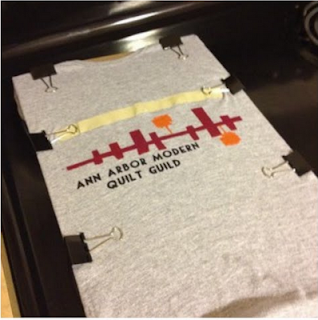 First of all, we had a very successful screen-printing night at Anna's house, making wonderful shirts of our awesome A2MQG logo. Hopefully we can do this again in the future so everyone who couldn't make it can join the fun! Then we had to say a sad goodbye to our dear Natalie, who is moving to Massachusetts. 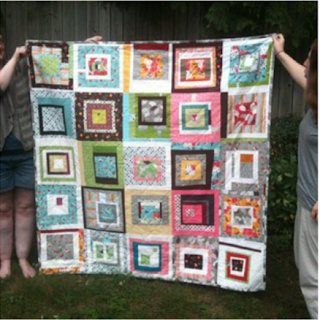 Many members of our guild helped make this lovely quilt as a present to Natalie. We're going to miss you, Natalie! But of course we'll all stay in touch and follow your blog. 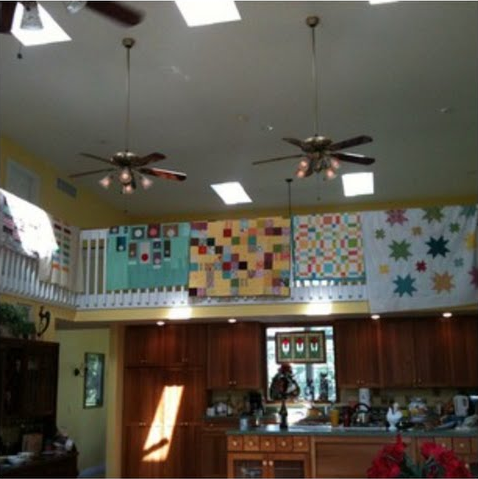 And at the beginning of the month we had a WONDERFUL weekend quilting at the Hankerd Inn. What a fabulous retreat - and a big thanks to everyone who brought wonderful meals and who cleaned and set-the table. The food was delicious and the company was LOVELY. Let's please keep doing these retreats in the future! Photo by Rossie - Lynn sewing at the retreat.